Approximately 12 species in Santa Cruz County. 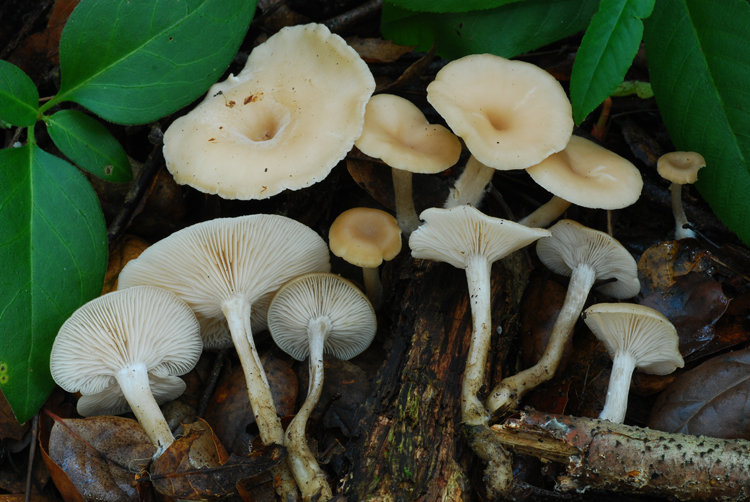 Clitocybe used to be a very large and diverse genus, but revisions of the taxonomy of this group has resulted in the splitting out of many genera. 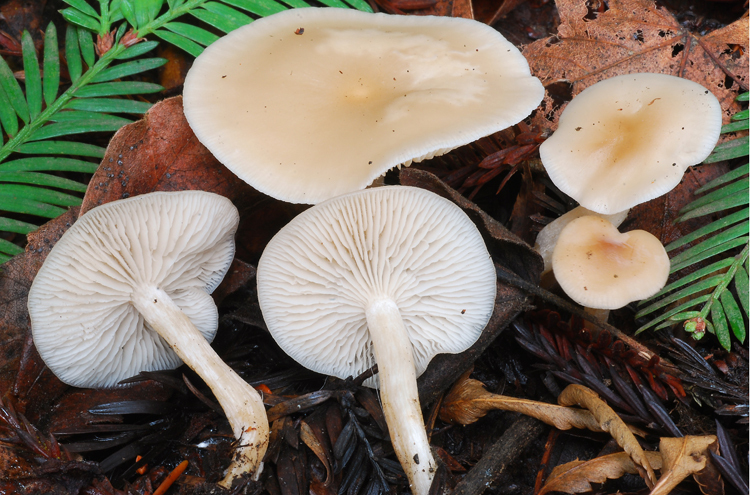 Some familiar former Clitocybe are now housed in such genera as Lepista, Infundibulicybe, and Ampulloclitocybe. Members of the genus produce fruitbodies that are frustratingly drab and 'featureless' (although this featurelessness is a clue in itself), making even identification to genus sometimes difficult. Combined with a relative paucity of literature in our area and microscopic blandness to match their macroscopic dullness, it is perhaps not surprising that this genus is poorly understood and rarely listed as a favorite. 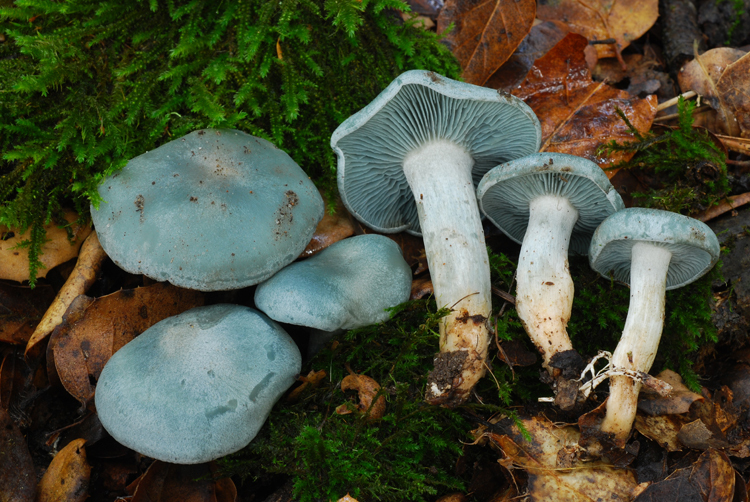 Most are considered to be saprobic, and occur in a range of habitats, from urban and disturbed areas to deep forests. 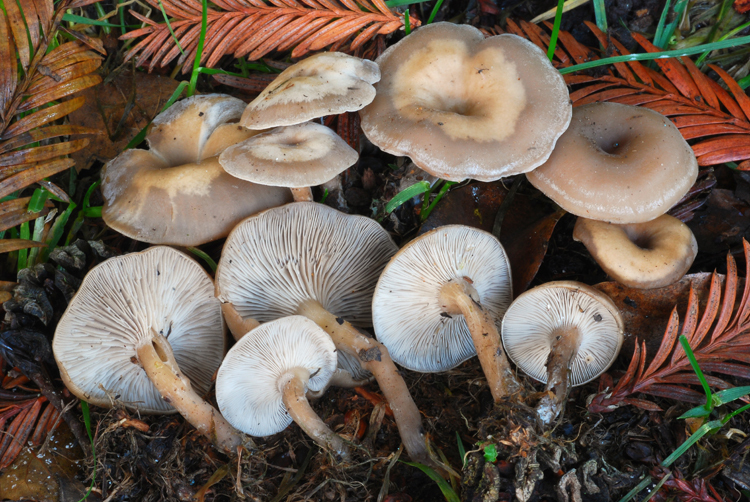 Although most are not considered for the table, a few are edible, and another small minority are quite toxic. The genus is probably quite diverse in California, but even a rough estimate of species diversity is probably far off given the high potential for cryptic and (not-so-cryptic) undescribed species. 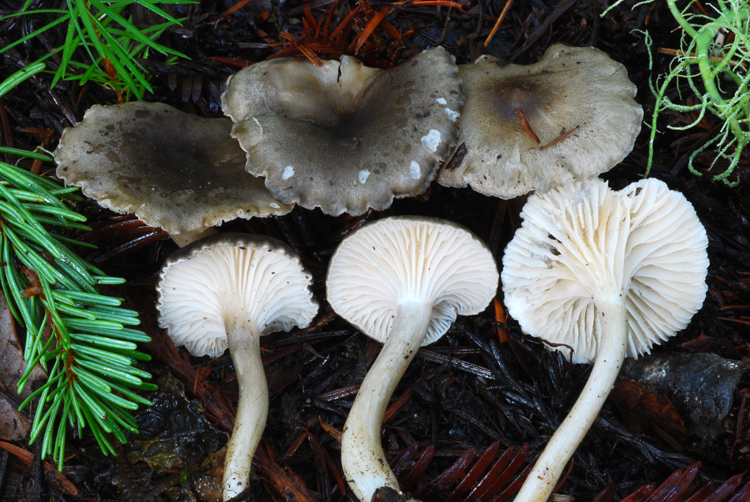 Important identification characters include stature, coloration, odor and texture, and to some degree microscopic characters like spore size and arrangement of cells in the pileipellis.